Operators are striding towards a future with data speeds up to 100 times faster than 4G networks and billions of connected devices to help run homes, offices, factories and cities - creating a seemingly limitless opportunity for an industry now hamstrung by the smartphone market's saturation. Moving against them is the expense of upgrading networks to run 5G: This requires denser arrays of masts and 'small-cells' to deliver data-intensive services, and the laying of fibre-optic cable to boost speed and achieve the low reaction times needed to delight online gamers or make self-driving cars safe. Put it all together, and the global cost of 5G infrastructure investment and enabling the so-called 'internet of things' (IoT) will run to $2.7 trillion by the end of 2020, estimates Greensill, a company that provides working capital to industry. "There will be some very tough discussions, but hopefully now what will be interesting to see is that there should be enough test deployments and real market data and we can start to see at least in the short term if it's viable," said Sam Evans, a partner at global consultancy Delta Partners. "Is one use case going to finance 5G? The answer is: not really. It’s going to be a multitude of use cases that benefit from the features of 5G," said Borje Ekholm, CEO of network vendor Ericsson. Ekholm's 5G favorite is remote surgery: "We laugh a bit about that, right? But the reality is already today when you operate prostate it's done with a robot," said Ekholm, in a dig at the industry's male-dominated demographics. 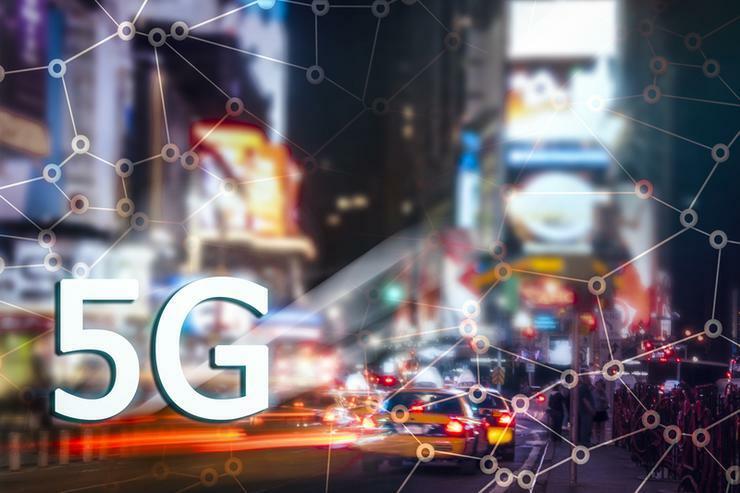 The first deployments of 5G, for example by Verizon in four U.S. cities, are of fixed-wireless broadband in which high-speed internet is delivered by radio without the expense of having to lay fibre-optic cable to homes and offices. At Mobile World Congress, Nokia CEO Rajeev Suri proudly showed off a cylindrical 5G router standing about a foot tall that will soon provide home internet to a selected group of customers of Australian carrier Optus. "5G is here, it is now, it is today," he told a presentation. Mobile broadband will follow - in big cities at first - as some of the devices displayed in Barcelona, including Huawei Technologies' $2,600 folding smartphone, enter serial production. For operators, though, 5G is more about finding new ways to use sensors to generate exponential increases in volumes of data - the industry's stock in trade - to offset the deflation in prices that is now capping revenue growth and squeezing margins. In Norway, Telenor is trialling 5G applications in fish farms; to help drivers find free parking spaces more quickly; and to enable remote monitoring of people with health conditions without them having to visit the hospital. Telenor also runs a 'smart' headquarters for a Norwegian bank - CEO Sigve Brekke's eyes light up when he says that sensors make it possible to clean the toilets after a certain number of visits, and not at set intervals. "We are moving from an access provider towards more integrated solutions," Brekke told Reuters. "This is an opportunity to create value together with these customers." Korea's KT Telecom showed off a robot barista at its stand, with the device maker paying $50 monthly to cover 5G connectivity. "At that amount, it is not enough, but it’s a new trial to expand our line of business," said Sung Eunmi of KT's 5G team. From mobile gaming to robots, self-driving cars or smart cities - even a sensor with a 10-year battery that can weigh a beehive and say when it's time to collect honey - the positive news is that the industry is at last trying something new. “It all comes down to: can there be a model to sell this connectivity at a premium, when the market is trending towards connectivity ... as essentially a utility?” said Delta Partners' Evans.